If you are a regular follower of Feel Good Friday, you know I like to avoid repeats. Sure, I talk about AAA Tipsy Tow every New Year's Eve but otherwise my feeling is there are enough good programs and organizations in the world that every week should be a new story. However, with the multiple mass shootings in the United States this week, I'm going to post about the Brady Campaign to Prevent Gun Violence for the THIRD time. 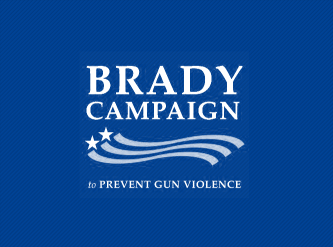 Please read the original post from October 9, 2015 to find out what the Brady Campaign is all about and how you can get involved in preventing gun violence.